The hallmark of a really good sim is when it makes you interested in something you knew nothing about before you started playing it. As a red-blooded American, I enjoy me some NASCAR, but the other forms of auto racing popular in the rest of the world are largely a mystery to me. Despite that, Motorsport Manager Mobile 3 ($3.99) has its hooks in me just like its predecessors did, attempting to manage my own race team all the way to the very top. It should be noted right off the bat that one thing Motorsport Manager Mobile 3 does not feature is retina-singeing on-track action. Though the visuals have been given nifty and noticeable improvements throughout, with everything from the menus to the track renderings looking better than ever, the races themselves are still contested by colored dots. If you’re a true sports sim fan, this might not bother you at all — heck, the insanely popular Football Manager titles were just dots playing soccer for years — but actually watching your cars do battle with their competitors and actually look like cars is perhaps the final frontier for this series, and it hasn’t quite made it there yet. What this third game has done is bring a whole bunch of new and interesting racing options to the table, beginning with the addition of new racing series beyond open-wheel cars. The end goal is still to make it to the generic version of Formula 1 and compete against the very best race teams in the world, but how you get there is now much more a matter of personal preference. Your fledgling team begins in Tier 4 and has to work its way up, but right off the bat you have both open-wheel and GT series from which to choose. In the next two tiers, there are also endurance racing series to pick from, where you attempt to complete the most laps in 45 minutes (which thankfully go faster than real life minutes, so it’s not as lengthy a grind as it might sound) and have to swap in three drivers per car to make at least one lap each. A driver’s focus stat is used as a de facto health bar for endurance racing, and while it’s obviously a scaled down version of how such races play out in the real world, its a welcome and different challenge. The nuts and bolts of team management remain more or less the same as in previous series entries, as you juggle sponsors to make sure enough money is coming in, hire the best talent available behind the wheel and in the shop, and generally try to keep pushing forward in terms of both skill and equipment. One new facet is the ability to build and expand a supplier network for your race team, adding different transportation assets to your cause. 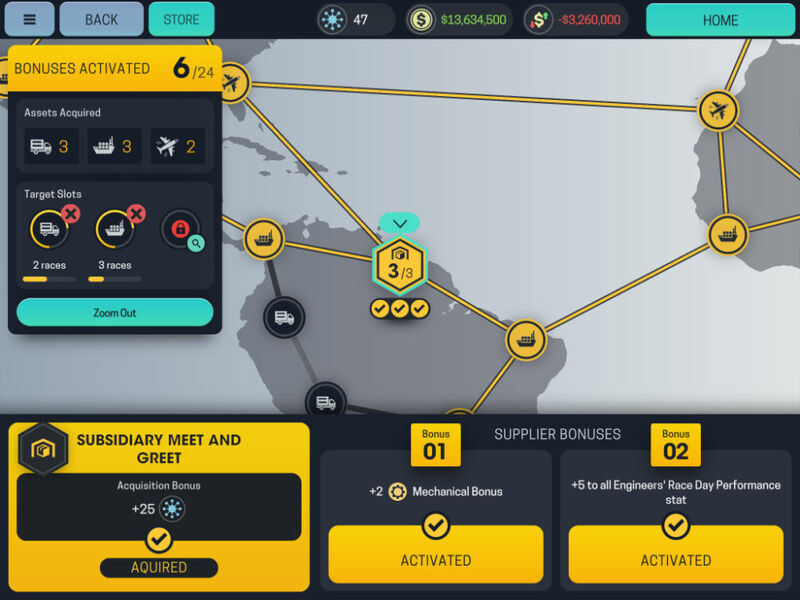 Starting from just a single hub, you can eventually grow the supplier network to be a truly global affair, with each additional hub offering the chance to unlock more bonuses for your race cars provided you have enough assets to support them. Also new is the addition of mechanics to your race team to supplement the efforts of your engineers. While said engineers still contribute by lending their expertise to the parts you build, mechanics work one-on-one with the driver (or drivers, if you’re in an endurance series) to get the cars performing better. When the relationship between driver and mechanic reaches its full potential, it unlocks multiple bonuses to pick from for each race. Alas, mechanics have also proven to be the most controversial new feature among early reviewers, as they have removed the custom setups for qualifying and race day and turned them into something of a card-based mini-game that is reliant on the mechanic’s skill. This adds a fun risk/reward element as you attempt to push the limits on what your car is capable of without going too far over the line and making an adjustment that actually makes it worse, but the randomness can be frustrating, and experienced gearheads will likely not appreciate the way it removes some detail for the sake of making a pretty technical part of racing more accessible. It certainly takes some of the value out of the qualifying process, which led me to simulate it a lot more often than I had in the past. Don’t like qualifying at all? 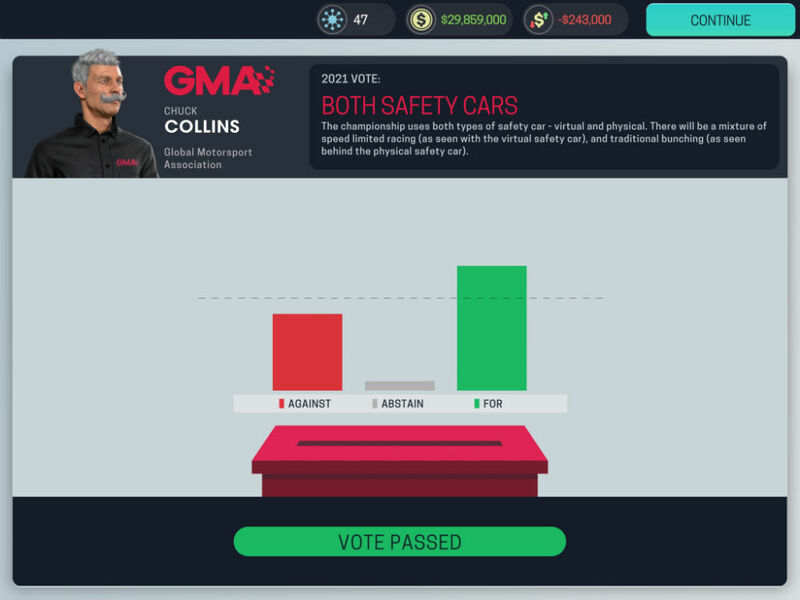 Then you’ll love the political aspect of the game, basic as it is, because it allows you to vote on rules changes to any racing series in which you’re planning on sticking around for the next year. These modifications include things like adding or dropping tracks, changing the safety car rules and outlawing the Energy Recovery System — another new twist this time out, and one that requires you to play a more active role in managing each lap unless you automate it. Only one change comes up for vote at the end of each season, but it’s still fun to see how you might be able to influence the race series to your benefit, particularly with a new mechanic called Influence. Not only can you use Influence to help sway race series votes, but if you build up enough of it by signing the right sponsors and making generally savvy overall decisions, you might find yourself with enough to convince a driver to re-sign when he was looking elsewhere, steal a part design from a rival race team or close a deal instantly when expanding your supplier network. Some early adopters of Motorsport Manager Mobile 3 have suggested that all of the new features combine to make the home screen too cluttered, but all of that information needs to be accessible from somewhere, and the devs did a pretty nice job overall making both new and old mechanics easy to both find and understand. The tutorial system has been given a big upgrade to accommodate all the new stuff too, and it helpfully walks you through any new feature you encounter for the first time unless you turn it off. Overall, the aesthetic of all the menus, charts and whatnot that you need to keep your race team humming along smoothly is pleasing, and there are even touches like additional animations and an avatar for your race team principal (that’d be you, unless you don’t like playing yourself in video games) that series veterans will almost certainly appreciate. 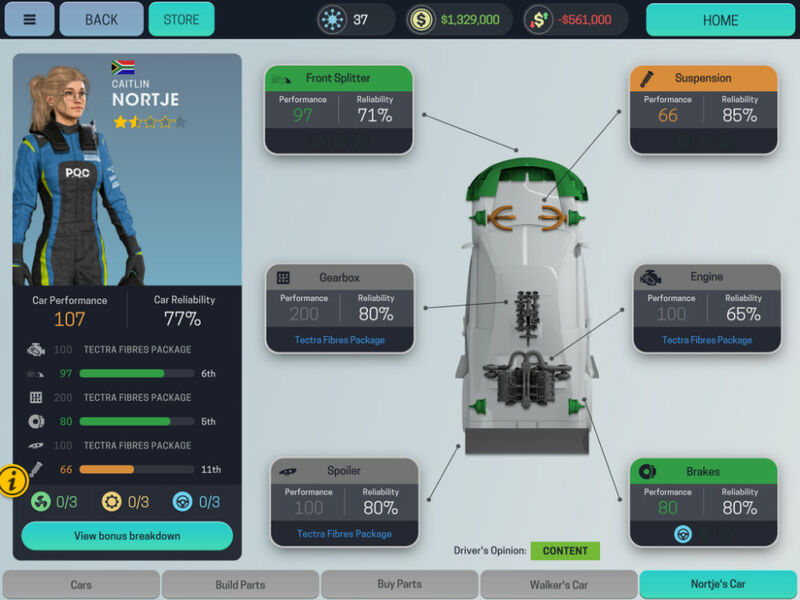 Motorsport Manager Mobile 3 does offer a few IAPs, which tends to get people irritable when you’ve already paid to download the game, but none of them are at all necessary to enjoy the full game experience. You can pay real money for in-game funds if you’re pants at financial management, or you can pay for a game editor in case you want to populate, say, the top open-wheel series with the real teams and drivers from F1. That leaves us with one final question, and it’s a pretty big one: Is the game challenging enough? On one hand, it definitely is, because you can’t just show up and start winning races right off the bat in every series. On the other, it’s not too difficult to get into a cadence where you have all of the game mechanics figured out to the point where you can more or less will yourself to championships maybe every other season. The key is actually in the preferences menu if you find that to be the case: Not only is there an individual race difficulty switch, but you can also flip on Hard Mode to give the overall in-season AI a bump. We can confirm that this is, indeed, much harder, so the challenge is there provided you know where to look. 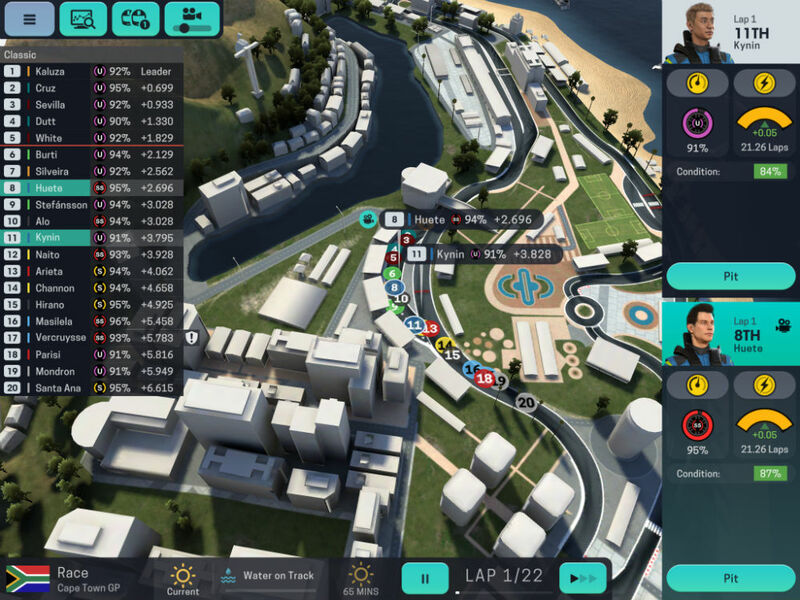 it makes sense not to make things too daunting from the start, because just like we said before, Motorsport Manager Mobile 3 is simulating forms of racing that not everyone, especially those of us in the U.S., really understand all that well. It’s to the credit of its developers that it accomplishes it so well that you’re likely to get sucked in after playing just a race or two and really want to start building up your race team to chase down championships. Even if you don’t know your splitters from your spoilers, you just might find yourself enjoying the ride here.